Soda PDF allows you to perform all your PDF tasks and is available as a desktop application and directly in your web browser. 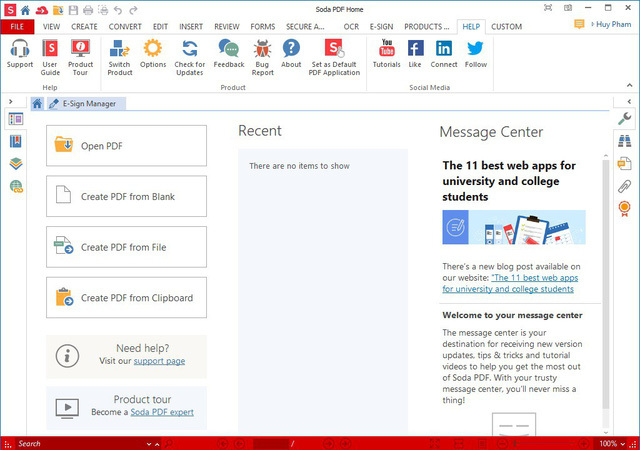 It can be used in order to open and edit PDF files, as well as convert them to one of the supported formats. This software utility enables you to zoom in and out of documents, add bookmarks, change the view method, rotate pages and take snapshots of a particular area from the opened item and copy it to the Clipboard. It is possible to edit the font type, style, size and color, split PDFs, extract a specified page and convert the uploaded document to one of the several supported formats, including DOC, XLS, HTML, TXT, PNG, JPG, GIF, BMP and TIFF.